On Saturday, April 7, 1888, Elisha Saxton launched his brand new working sloop Priscilla into the Patchogue River. Saxton had built Priscilla for George Rhinehart of Lawrence, New York, who named the boat after his wife Priscilla. 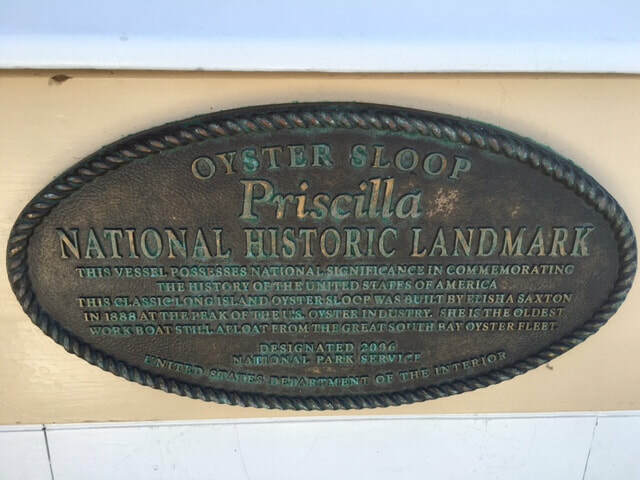 From 1888 to 1963, Priscilla was owned and operated by several oystermen from Connecticut and New York. During these many years, she experienced many changes. The oystermen spoke of "Pris" as a fast, able, "smart" boat and a "money maker" because, unlike other boats, she could dredge as well in light and heavy winds. From 1963 to 1976, Priscilla became a cruising sailboat, after much hull and interior restoration. Her owner John Woodside sailed Priscilla several times to the Bahamas and to Maine. 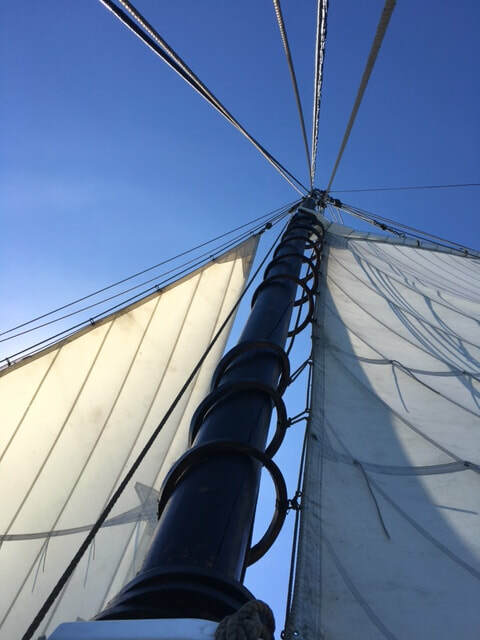 In the early 1970's, he schooner rigged her, copying the sail plan of the famous schooner America. The restoration of the sixty-foot, 1888 oyster dredge Priscilla began in 2002 and was the largest restoration project to date at the Long Island Maritime Museum. 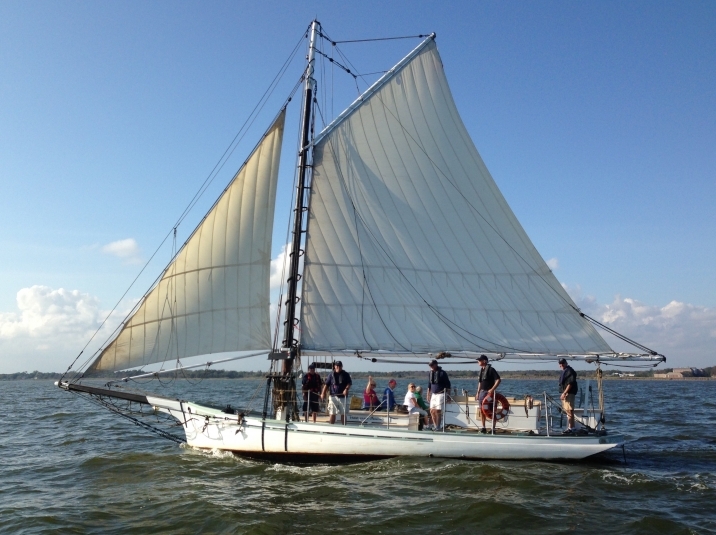 Priscilla has been returned to her original design, a gaff-rig sloop. This vessel is the oldest and only sailing workboat to survive from the Great South Bay oyster fleet. Her hull is traditionally built in wood, which had been fiberglassed over during a restoration in the late 1960s when she also was given a schooner rig. How can YOU sail Priscilla? 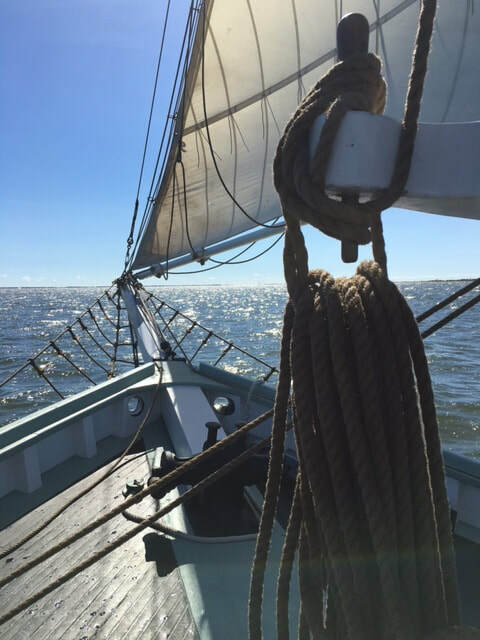 ​The Long Island Maritime Museum offers both public sales and private charters, that depart from the beautiful Snapper Inn located in Oakdale. and also includes a narrative depicting Oyster Sloop Priscilla's fascinating history.